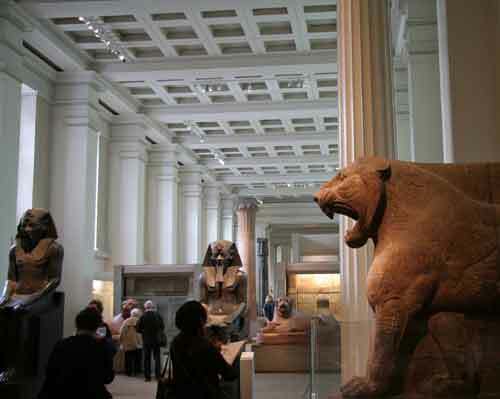 The British Museum has many galleries but one of my personal favourites is the Ancient Egyptian Sculpture hall. It is situated on the ground floor of the museum where purpose built rooms were constructed to house large pieces of artwork such as statues and sculptures. You find the gallery by walking into the great centre hall and turning left, the Egyptian gallery is the first room on the left. This gallery contains some of the largest pieces of sculpture in the museum and consists of items dating from between 2600 BC - 2nd century AD. You will find sculptures of Kings, queens and deities many of them retrieved from tombs and temples from Egypt, there are even some actual structural pieces from the temples and tombs themselves. These pieces really do give the visitor a real sense of the grandeur, culture and engineering skills of the people from that time. I think even in the modern mechanised world many of these pieces would be a challenge to make and move today. This gallery in the British museum is a long thin room which means that you have to walk in a straight line through and around the items. This works particularly well as the pieces are laid out chronologically meaning that you literally walk through time and experience the development of this truly amazing civilisation. There are some very beautiful pieces of sculpture and many of them look as if they were made yesterday. The head sculptures of Ramesses the II and Amenhotep III are simply stunning. The Rosetta stone can also be found in this gallery and can be difficult to see as it is usually surrounded by visitors which illustrates its world famous reputation and importance. 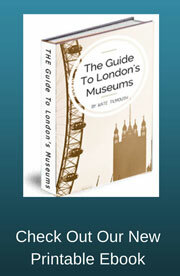 The following short video will give you a view of the Egyptian sculpture gallery. you will notice that it is quite noisy as this has to be one of the most visited galleries in the whole of the British museum, but don't let this put you off, you will still enjoy the gallery. On the second floor of the museum you will find more items from the ancient Egyptian civilisation, including mummies, artefacts and art. In rooms 61- 66 you will discover the "life and death" Galleries where you will find items which depicts the attitude the Egyptians had to death and the afterlife. They believed that you needed to prepare the body after death so that it was able to have a smooth journey into the next life and be able to live comfortably there. This preparations included items of sustenance, magic and ritual. As well as fantastically decorated coffins you will also discover intricate items of jewellery, jars and containers which accompanied the body in the tomb. Often the Egyptians would mummify certain animals which were considered gods or who possessed special powers. Animals such as cats and birds of prey were often also mummified as a sign of respect and also to accompany the human body to the afterlife. 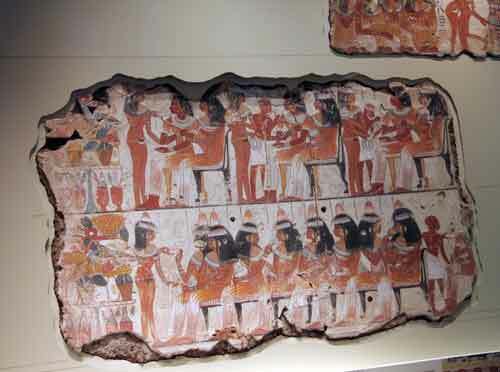 Further along the gallery you will find items from Nebamun's Tomb. Nebamun was a wealthy Egyptian official and his tomb therefore was highly decorated and contained items of great value and worth. The British museum took possession of 11 wall-paintings in the 1820s which dated from 1350 BC, making them extremely rare and famous the world over. They have been extensively repaired and conserved over the years and are now for the first time on display within the museum for the public to view. The room contains many other items dating from the same period and some of them can be seen in this short video clip.